Japan is proving a tough market to crack for ride-sharing service providers, and not just because of regulatory barriers -- there is also a relative lack of demand in a country where taxis are safe, affordable and, in urban areas, easy to catch. Many Japanese also do not commute by car so only a few need to carpool, unlike in the United States where Uber Technologies Inc. and Lyft Inc. are seeing growth in ride-sharing. "While I do think ride-sharing should become more common in Japan...you can easily catch a cab on the street so there is not really a big advantage to using the service here," said Nozomu Shoji, a 36-year-old technology venture employee who lives in New York and has used Uber's app both in Japan and the United States. Ride-sharing apps match passengers with drivers of private vehicles. The U.S. and Chinese governments among others have introduced new rules in recent years to give the green light to ride-sharing services. But Japan and European countries remain cautious due to safety concerns. In Japan, ride-sharing services are available only in limited areas. In Tokyo, Osaka and other major cities, taxi companies boast of top-notch services. Passengers do not have to wait long for a taxi once they call one, for example. "The quality of Japanese taxi services is extremely high, plus there are plenty of taxi companies," said Takashi Sabetto, executive director of the Sharing Economy Association in Japan. "So there are currently no real challenges or problems that need to be addressed. Ride-sharing is not something that will further improve the level of the Japanese taxi industry" at present, he said. The taxi industry is also strongly opposed to opening the market to ride-sharing service providers, as they are worried about losing customers to the newcomers. Uber has tried to tap into the Japanese market with its ride-sharing service using private vehicles but has made little progress so far as regulatory barriers stand in the way before beginning efforts to spark demand. The Japanese transport ministry says it is unclear who will oversee overall operations, including vehicle maintenance and inspection and driver's health conditions. The U.S. company recently shifted its strategy to joining hands with Japanese taxi companies to start ride-hailing services instead of ride-sharing. 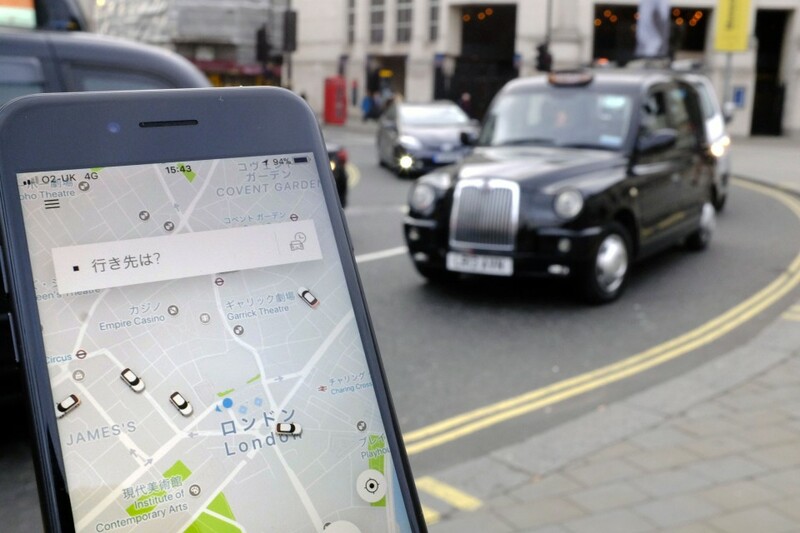 An Uber spokeswoman in Japan said that while the sharing economy is still a new concept in the county, "Japanese people can be very open...once they try ride-sharing, I believe they will understand its high functionality." A taxi ride is not a major problem in big cities but in some rural areas, people have only few taxi and public transportation services available. To deal with the situation, the government allowed the use of private vehicles as a commercial transport service for local residents in such areas under a 2006 revision to the road transport law. Uber subsequently launched its ride-sharing service in parts of Kyoto and Hokkaido prefectures. The government expanded ride-share services recently, revising another law in 2016 to offer the service also to tourists. Still, Sabetto said these steps may not be enough with Japan likely to face a shortage of taxis to meet demand expected to surge from tourists toward the 2020 Tokyo Olympics and Paralympics. Japan saw a 21 percent drop in the number of taxi drivers to 338,000 in fiscal 2014 from 428,000 in fiscal 2004, partly as the country's population declines, according to data from the transport ministry. Even among taxi companies, some are hoping ride-sharing will gain momentum in Japan. Kenichi Sadakame, president of Sangamori Taxi Co. based in Kitakyushu, Fukuoka Prefecture, said a small company like his needs to "diversify its business in order to survive" tough competition with major taxi companies. He said that he is a rare advocate of ride-sharing in the taxi industry and has faced fierce opposition from his peers. Some Japanese taxi companies are already promoting tie-ups with ride-sharing service operators to develop their own ride-hailing apps to meet demand from foreign visitors. Daiichi Kotsu Sangyo Co., a major taxi company in Kitakyushu, is planning to join hands with Uber. It is also in talks with China's leading ride-hailing service firm Didi Chuxing. If a "Japanese-style" ride-sharing service is created, it would be realized with laws revised in a way that would leave taxi companies responsible for their entire operation, including training for people working as drivers and ensuring the safety of their private vehicles, Sabetto said.